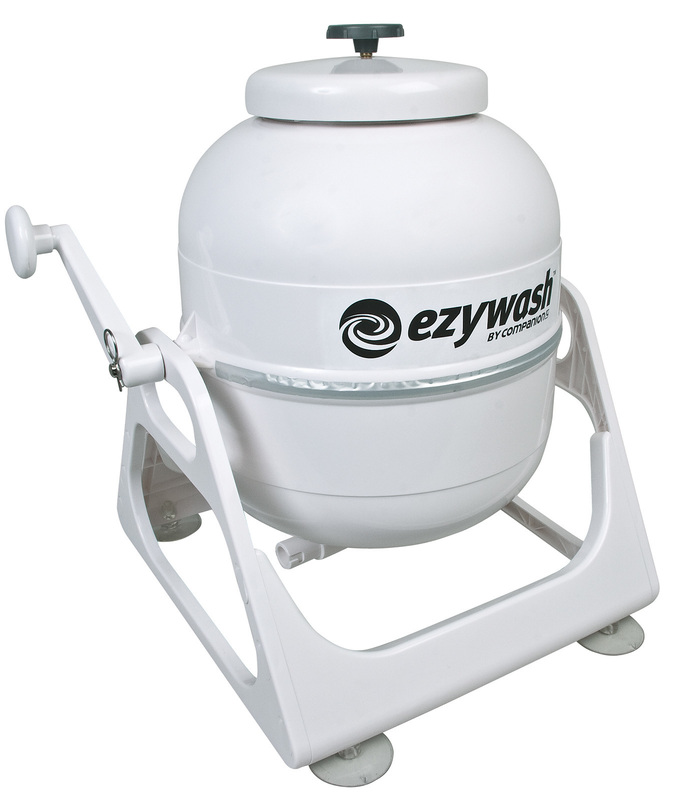 Innovative solution for washing your laundry when traveling or camping is now made easy by the Companion Ezywash Hand Crank Washing Machine. 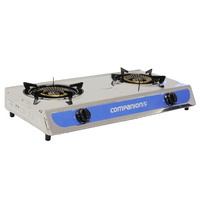 Featuring a maximum wash capacity of 2.5 kg ensures that the dirtiest wash loads are cleaned easily. Once finished the tub is then emptied through the integrated drain hose fitted to the unit. 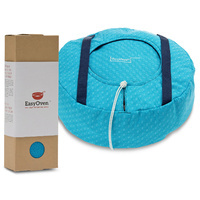 The hand crank washer works by filling the drum with water, detergent and clothes then turning the drum for a few minutes. 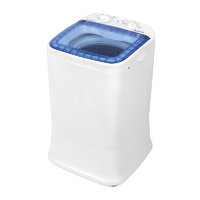 This hand crank economical washing machine uses a patented pressure system to force detergent into clothes at high speed for an efficient wash ideal for washing delicate fabrics. 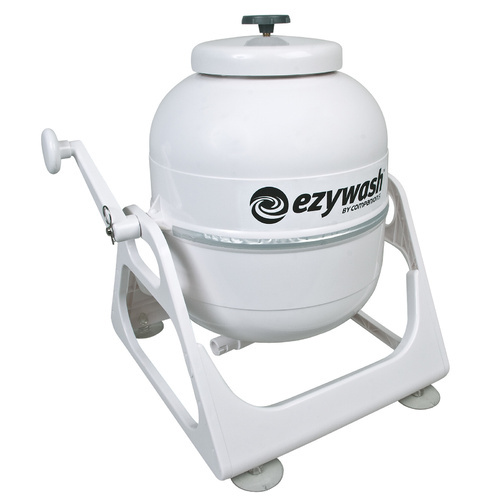 Ezywash Hand Crank Washing Machine is also an eco-friendly solution, each time you wash using this portable washing machine you can save water, less detergent and save your electricity because it does not require electricity at all. 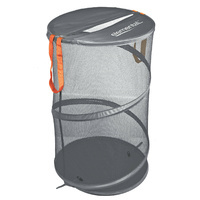 Portable & lightweight washer that is ideal for camping, boating or home use.